This show had hosts that were the Laurel and Hardy, Abbot and Costello, yin and yang, chocolate and peanut butter of podcasts. As sad as I am to see it end, I’m excited to see if it can carry the torch and raise some number 1 and number 2. I’m sending best wishes to the old show and all the good karma to the new. Jeff and Brian really make a great show together. It feels like they are old friends and they both have a great sense of humor. Simply the best with great interaction between the show hosts. I'm not a fanboy but rehashing same issues and concerns about how behind Apple is on tech than competitors and how frustrated they are about it. If you like that slant weekly then this is your podcast. Positively they express a wide range of personal opinions on a range of diverse topics from music to garage door openers. I turn to Jeff Gamet and MacObserver for tech news, but lately his anti-Trump articles have been a huge turn off. One star. 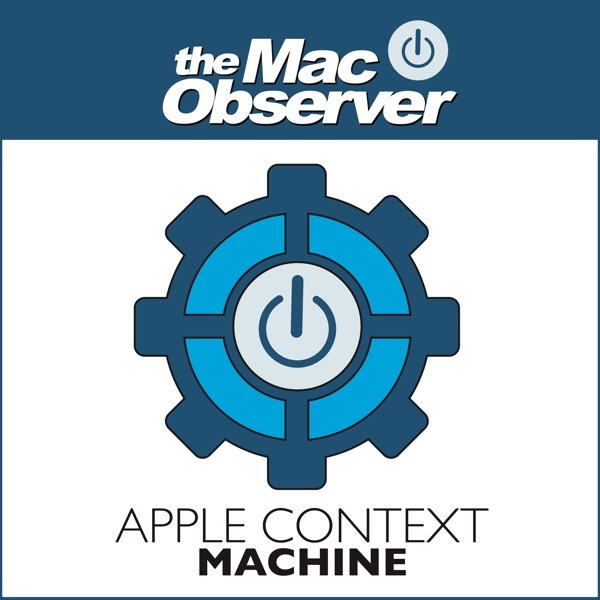 MacObserver should go back to talking about tech and stop being intolerant of other people’s views. Great podcast with a good dose of comic value. I'm not sure why people leaving looks ratings. I love the interacting between the two podcasters. They tell it like it is without being distasteful. I'm always looking forward to new podcasts. It’s a podcast about Mac / Apple stuff, hosted by “Top Men”. They can get heated about some stuff but overall it’s just a good and amusing tech podcast, I look forward to each episode. Come on guys. This is just a podcast, not a comedy "show". And you are the least funny people on the planet. You're trying too hard. It's okay but not great. The humor is annoying. The laugh that sounds like it's changing gears is even more annoying. The words, fair enough, are used way too much. When they get into serious Apple conversation, it's not bad. There are better Apple podcasts though. these people can’t stay on topic worth anything and i love it! I never miss an episode, they're funny & informative. These two guys might be good writers at The Mac Observer, but they sure aren’t good radio hosts. They speak haltingly, make cutesy and inane remarks, laugh at their own mistakes, and don’t show a comprehension of Apple matters and technology in their reporting. They should take lessons from their co-workers Dave Hamilton and John F. Braun on Mac Geek Gab. Now that is a show that is worth one’s time and from which you can learn more about Apple. What an incredible Podcast! If you listen to just one Podcast this year, make it this one. If you listen to two, there's that Flash Gordon one out there, but that's another story. Bryan and Jeff have taught me everything I know about Steve Ballmer's daily activities, the evil that is Samsung and the many, many benefits of Podcasting juice. Oh, and never to eat their candy. Their interns, Axel and Suburban continually amaze me with their bell ringing virtuosity. Truly a blessing in a Podcast package. Worth every penny. The show is something I look forward to each week. They seem to have a great blend of comedy and facts. Their understanding of the mac range and products comes through as does their knowledge of all the mac rumours. A great podcast. This is possibly my favorite Apple-centric podcast. These guys know their stuff. They have expertise that comes through in every episode - right along with their quirky senses of humor. Jeff and Bryan talk through the weekly news and add their insights. Always a great listen. And usually requires "podcasting juice" as Jeff calls it. Thats the truth. Thank you both for not just running with the latest hyperbolic rumor mongering. They take the time to present a thoughtful and interesting listen to the listeners. The show is entertaining and informative. Listen and you will agree. By DO I HAVE TO???????????????? Dave & Jeff are a great team putting Apple news stories in context. I don't know how to say this. Jeff, you need to stop laughing. I don't know why but it doesn't sound genuine and it just goes on forever. Some things I have no idea what you found so amusing. I appreciate you guys doing the show and I think it's important but I find myself fixated on little annoying tendencies. I am seeking help. Dudes, PLEASE ditch the song. After you played it twice it started to annoy me. I don't like the song and it forces me to fast forward thru the end of the show. Then because iTunes doesn't register it as being fully played, your episodes don't get removed from my playlist. PLEASE ditch the closing song... PLEASE. I tried to listen to a backlog of these podcasts - but hearing ‘pew pew pew pew pew pew pew’ as a ‘sound effect‘ for the n-th time wore me out. It might have been funny even the second time (at least for some) ... but it is well-passed tired. An analogy: an airline that fails to clean its airplanes will lead potential customers to think that the overall aircraft maintenance is questionable. The Bad Cable Access show imitation chatter in this podcast leads one to question the quality of the analysis/discussion presented. I REALLY hate to write this review, but ice had enough. It use to be a favorite source if quality info and fun commentary. Now it's just endless blathering and 'jokes' that they go on and on with. I don't mind that they're Apple biased, I get it. I dunno, I'm giving a few more episodes a chance, but if there's nobimprovement, I'm out. Oh, also.....AWR - Apple WEEKLY Report. Weeeekly. Not monthly guys. Step up your game and get back on top!!!! I like the show, which is why the rating will seem odd for this review. I was in another room when I heard a bunch of yelling, by the time I figured out what it was, the extremely loud balmer yell had busted my little tivoli pal's speaker and now it buzzes. how about using a volume limiter, it's not difficult. maintaining consistent levels is pretty basic. the yell isn't funny enough to break the user's equipment. luckily it wasn't in my earphones with the yelling being in my ears directly. take some responsibility. I really used to enjoy this podcast. You can't call yourself weekly and just do a podcast. In tired of looking for a new episode to find nothing for weeks & weeks. This is bar none the best mac podcast out there and im subscribed to many. I only wish that they were a little more consistant with putting one out every week or so. I can put up with them being overly opinionated, but show 125 was the last straw. They had zero issue with stating that NBC had issues because they did not listen to their customers. However they (AWR) had zero issues with completely disregarding the opinion of their listeners and saying that the listeners were just plain wrong. I am unsubscribing, do not like the two face and the disrespect to the listeners. A good show and the way they have organized their show makes it easy to follow. I wanted to like this podcast. I have been listening to AWR for four months, but finally decided to unsubscribe. I can essentially sum up every episode as "Apple is the best, everything else is bad." Only somewhat informative, but not really insightful. I own everything Apple, and even I found this podcast to be too much. Their Apple zealotry didn't really make their editorials constructive. I love everything Apple but I am not so blinded that I can't see room for improvement. Often, the gentlemen on this podcast are too busy cheerleading for Apple that there is no objectivity. They either misunderstand or intentionally misstate the counter arguments. If you are brand new to the tech world and simply want someone to reinforce your positive opinion of Apple, this podcast is for you. If you really want apple tech news that can objectively look at Apple and its role in the tech industry, I would look elsewhere. I found this for Apple news after trying a few other shows; I found this one to be my favorite really quickly. I like the straighforward news pitch followed by the more editorial news context, by a couple of guys who know their Apples. The reviews are decent too. I'd actually give this 4 and 1/2 stars, because the sound quality needs some practice. great work... keep on going. This is my first time to ever write a review, so someone should feel special. I love TMO Weekly Roundup(and the Geek Gab for that matter, but let's stay focused) and here is why: I am a relatively new Mac convert (December of 2004) so my Mac knowledge could be summed up one way: limited. So I can take this podcast and really use it. That is not to say it would not be of benefit to you more educated Mac folk, because he does cover everything. I just like the fact that I can get filled in on what is happening in one swoop. To a newbie to the Mac, it is a must have. To a veteran Mac user, if you miss it, us newbies will make you look dumb.